It’s been over eight months since I’ve done one of my travel posts, so I thought I’d do a bunch more and have a break from documenting my seemingly never ending DVD and blu-ray backlog. When I first went to the Kansai region in 2013, I wanted to do and see a ton of things. But you really need more than week (the original time I allotted) to make any headway in trying to explore the area. 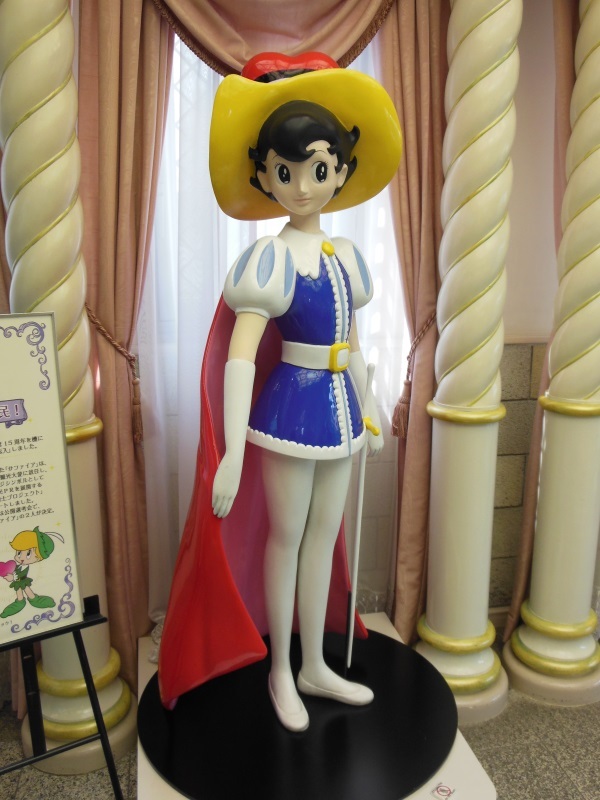 One thing I always wanted to see was the Tezuka Osamu Manga Museum in Takarazuka, Hyogo Prefecture. Admittedly I have never been a big fan of his work (as an anime fan I feel like a heretic), however I still thought it would be fun to see the museum. I was also interested in going to Kyoto station which my guide book stated was home to Kyoto Tezuka Osamu World; a mini museum and shop with a theater which screened six exclusive anime films. Unfortunately I soon discovered it had shut down in January 2011. So the Tezuka Osamu Manga Museum remained the only museum in the area dedicated to his work. To get there from Umeda station in Osaka, take the Hankyu Takarazuka Line to Takarazuka station, and then you can either get off there and walk one kilometre to the museum, or transfer to the Hankyu Imazu Line to Nishinomiya-Kitaguchi and get off at Takarazuka-Minamiguchi station. This trip will take a bit over half an hour. Takarazuka-Minamiguchi station is only 500 meters from the museum. The best way to get there is to use exit 1 from the station, walk north to the main road, turn right and walk around 45 metres. Then cross the road walk over the Takarazukao Bridge. The museum will be on your right at the cross road and is quite hard to miss. Open from 9:30am to 5:00pm every day except Wednesdays, the cost for adults is ¥700. Looking around the museum it’s really hard not to see his influence on Japanese popular culture. It’s no exaggeration to say that Tezuka single handedly created both the manga and anime industries in Japan. From his early works in 1946 up to his final works in 1988 before his death the following year in February, he drew over 150,000 pages and published over 700 volumes of his manga. He created characters that became beloved over the world such as Mighty Atom (Astro Boy) and Jungle Emperor (Kimba the White Lion). His animation works are also beloved with Astro Boy and Kimba the White Lion being the most recognised in the west. Though you could possibly argue his animated works are hardly as influential when compared to his manga. However outside of Japan his animated TV series, especially those from the mid to late 1960's, were initially what he was best known for. The entrance of the museum has a statute outside of the Phoenix from Tezuka’s long running but unfinished manga of the same name. Right inside next to the reception desk is a life sized statue of Princess Knight (Ribbon no Kishi). Above in the ceiling is a rather amazing stained glass feature which depicts his most famous works. 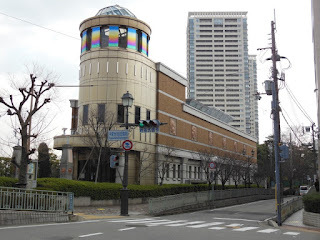 This level showcases exhibits of various Tezuka manga and anime works, most encased in large glass tubes. I was very taken by the display of Tezuka’s trademark beret and glasses (see below). This level also contains a theatrette. The lower level has a mock-up of Tezuka’s studio, a rundown of the history of manga in Japan, displays about how animation is made and for some reason Tink from “Princess Knight” on a disco ball. A door leads outside to a small garden. 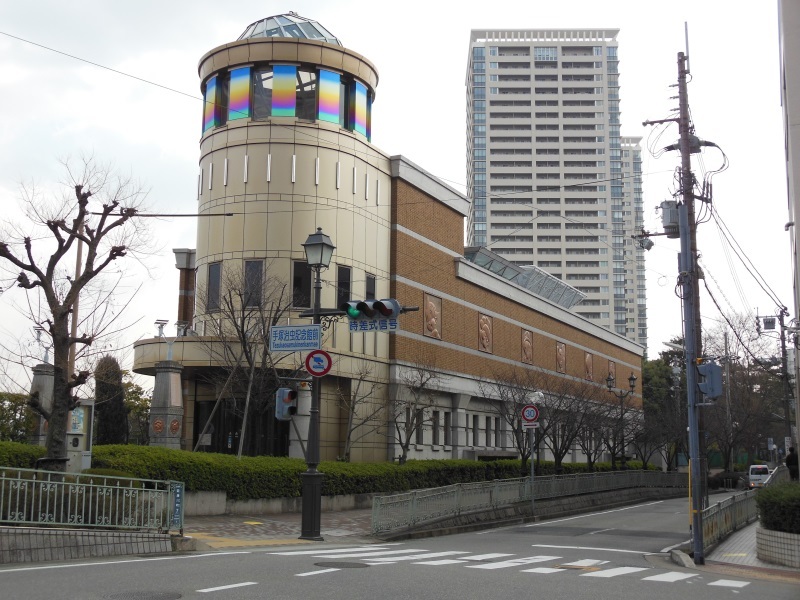 On the top level is a library featuring all of Tezuka’s works, with some translated versions, a café and of the obligatory gift shop. There are also temporary displays which sometimes feature non Tezuka works. 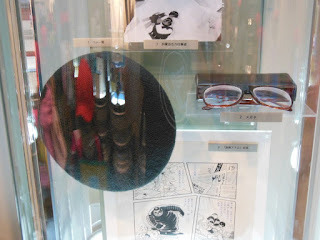 When I visited the display was “TOMM the 58th Exhibition: Science Fiction and Fantasy Writers of Japan and Osamu Tezuka”, which highlighted the science fiction works that influenced Tezuka as a child. Unfortunately for some reason I didn’t take too many photos of the interior of the museum, such as the stained glass window in the ceiling. A lot of the displays are quite stunning. 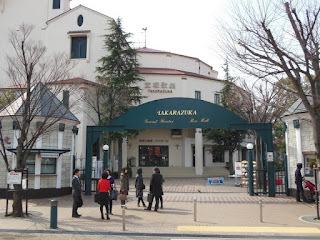 The reason why the museum is in Takarazuka is that Tezuka was born and grew up here. You may know that his “Princess Knight” manga was directly influenced by Takarazuka Revue, the famous all-female musical theatre troupe which first opened in 1914 partly as a gimmick by Ichizo Kobayashi, owner of Hankyu Railways in order to increase patronage of his new Takarazuka line from Osaka. Tezuka’s mother often took him to Takarazuka Revue shows as a child. 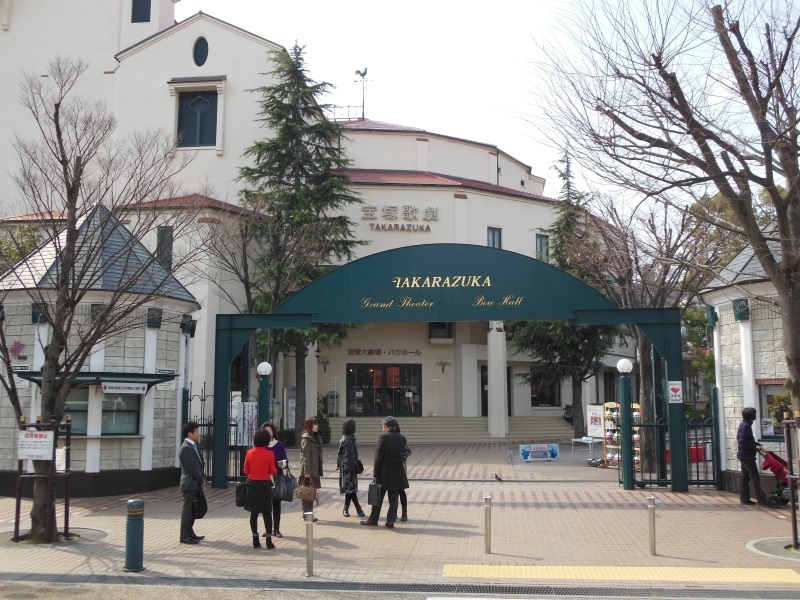 The original theatre is still here in Takarazuka (a second theatre operates in Tokyo) and is only 250 metres down the road. The first thing I saw on my way there was a fairly big florist shop with posters of various Takarazuka Revue shows displayed in the windows. 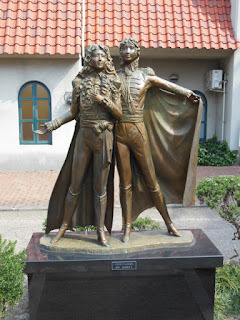 A number of statues from some of the more popular shows also line the street (such as an adaptation of "Rose of Versailles", above). 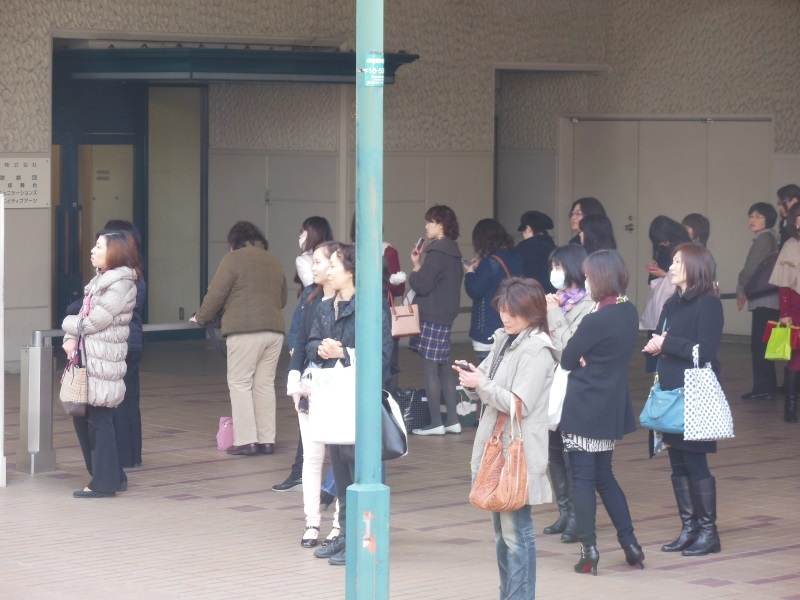 I was rather taken back as I headed past the entrance to the theatre to the stage entrance where around 75 fans had lined up to great the actresses as they came in for their performance (see below). It was all very calm and very well mannered. Some of the actresses received flowers, some chatted for a little while and some just waved as they entered. I’d never seen anything like it before in my entire life. It was very ritualistic and strangely clam. On a pedestrian island in the middle of the road was a waiting area for fans to watch the actresses enter the theatre side door. The thing is the vast majority of Takarazuka Revue fandom is female. It’s really quite a strange phenomenon. Many of the popular actresses in the revue take on masculine traits and it’s really hard not to notice the inherent lesbian overtones, yet it’s probably safe to say that almost all of its fandom is heterosexual. Many theories have been thrown up to explain what is going on here. The most plausible is that women are attracted to this entertainment is a subversion of stereotypical Japanese gender roles. Yet another fascinating aspect of Japanese pop culture. As I'm not really a fan of musicals, I didn't really bother looking into seeing a show. Tickets seem to run from ¥3,500 right up to ¥12,000. 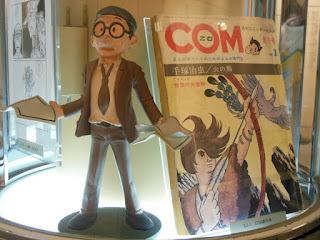 Even though I'm not the biggest fan of his works, the Tezuka museum was quite fascinating. 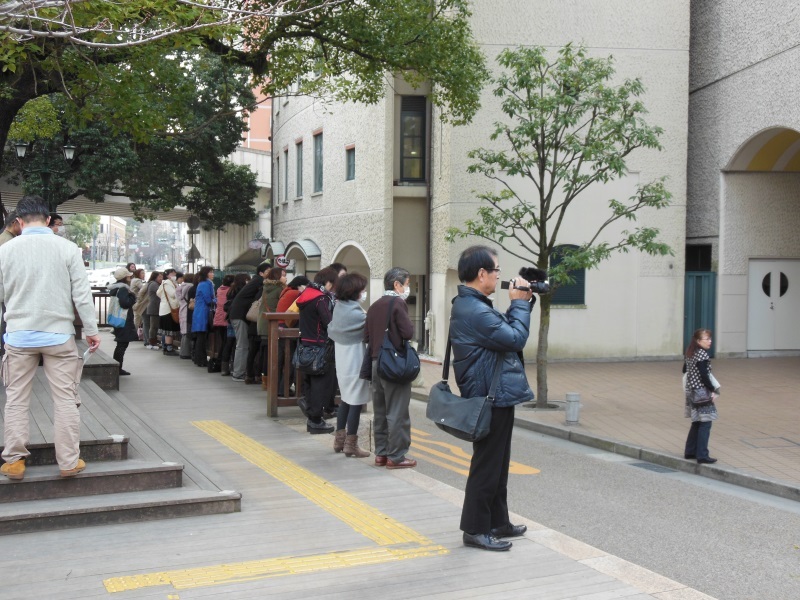 Coupled with the spectacle of the Takarazuka Revue fans, it was a really fun morning. Next time I’ll be going to Minato to see the Zojoji Temple, Tokyo Tower and it’s infamous (and sadly defunct) Waxwork Museum.